Prepare Etoufee Base as directed on package, omitting shrimp. Meanwhile, heat oil in large saucepot on medium-high heat. Add onion, celery and garlic; cook and stir 5 minutes or until softened. Season catfish with Creole seasoning. 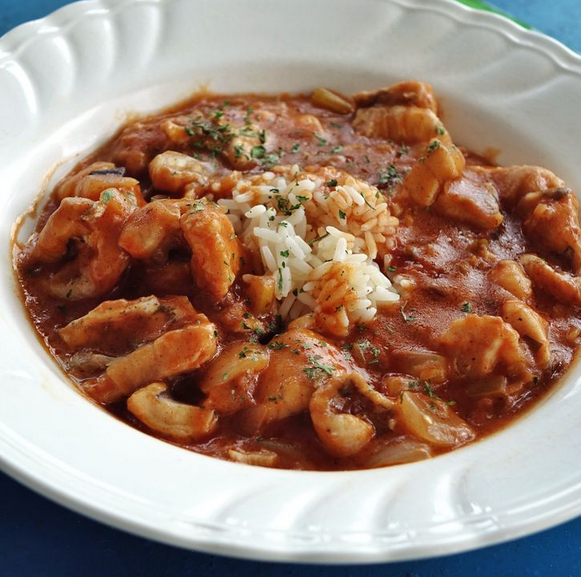 Add to pot along with shrimp, wine and prepared Etouffee sauce. Bring to simmer. Reduce heat to low; simmer 5 minutes. Gently stir in crabmeat. Season to taste with few dashes of hot pepper sauce. Serve over cooked white rice.